Dustraction has a vast range of fans, all of which are manufactured in house and to our exacting standards. 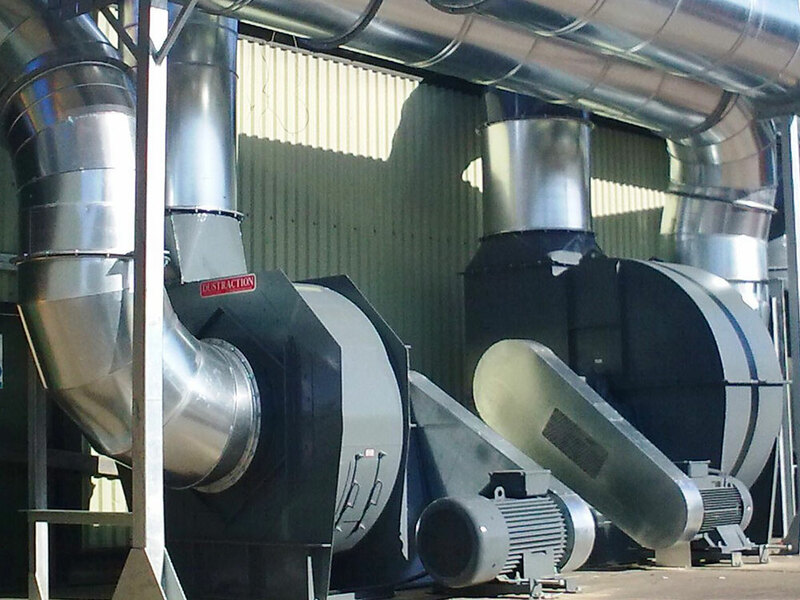 They are capable of extremely high efficiencies with low energy consumption and minimum maintenance requirements. We supply fans to meet all applications and specifications. 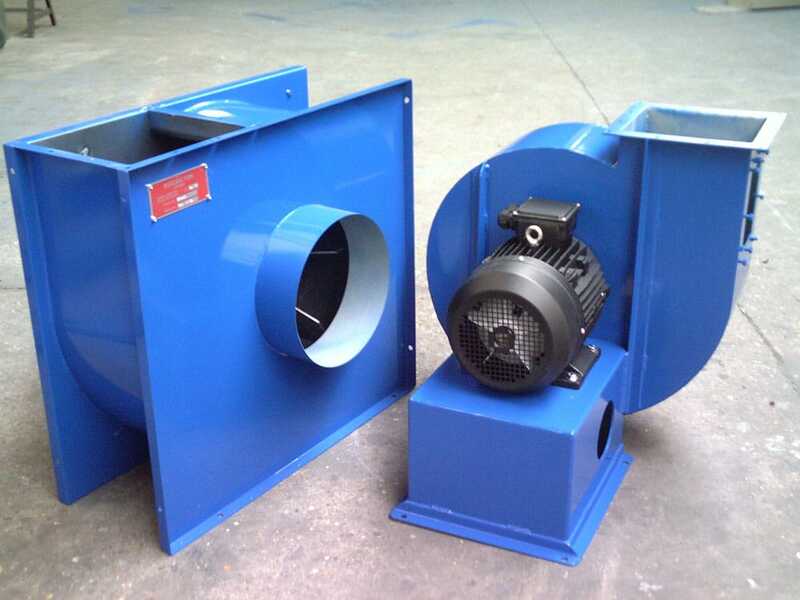 Heavy duty axial flow fans for general fumes and backward inclined fans which are highly efficient. We also manufacture specialist fans such as chopper fans for cutting paper and plastic strips. Dustraction also offer a turnkey solution on site which enables us to give prompt and coherent after sales service. Steve Matuska reports that his nearest customer has moved away from the factory next door, seeking a bigger and better equipped one down in Corby. 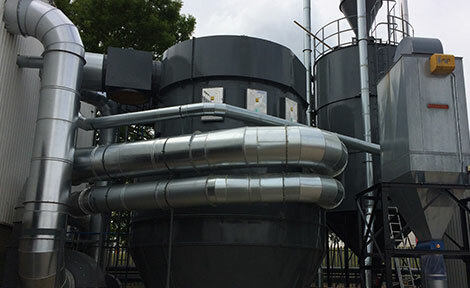 Steve and AJB Woodworking MD Amarjit Binji go back a long way; Dustraction have supplied all his waste extraction and disposal needs down the years as part of his building solid financial growth and a loyal and efficient workforce.